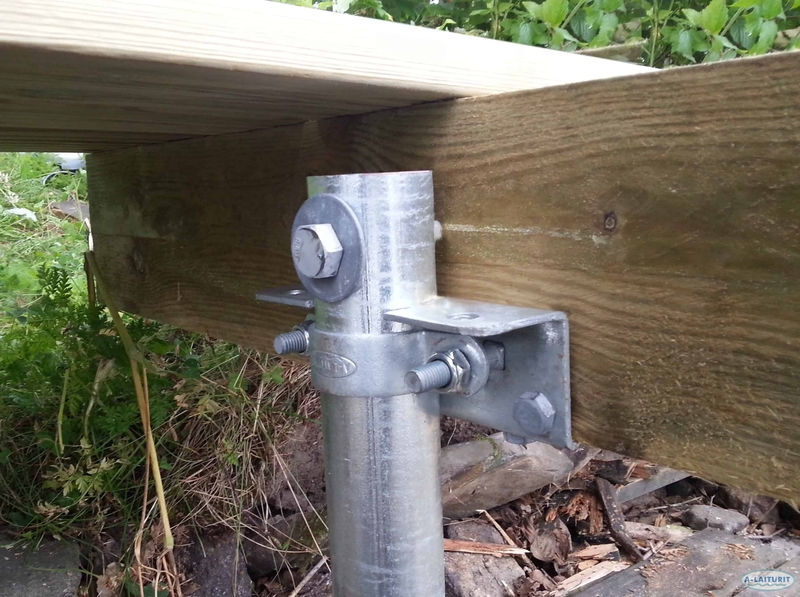 The Screw Pole Fastener is intended for attaching wooden constructions to the end or side of the screw pole. 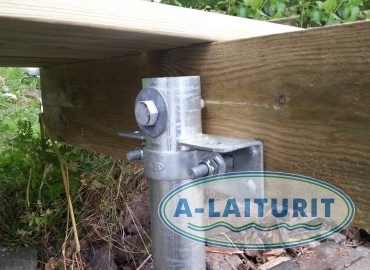 This is done by the use of lag screws or by bolting through in pre-made holes in the fastener. When connected to the side of the screw pole, the height can be adjusted even after instalment.